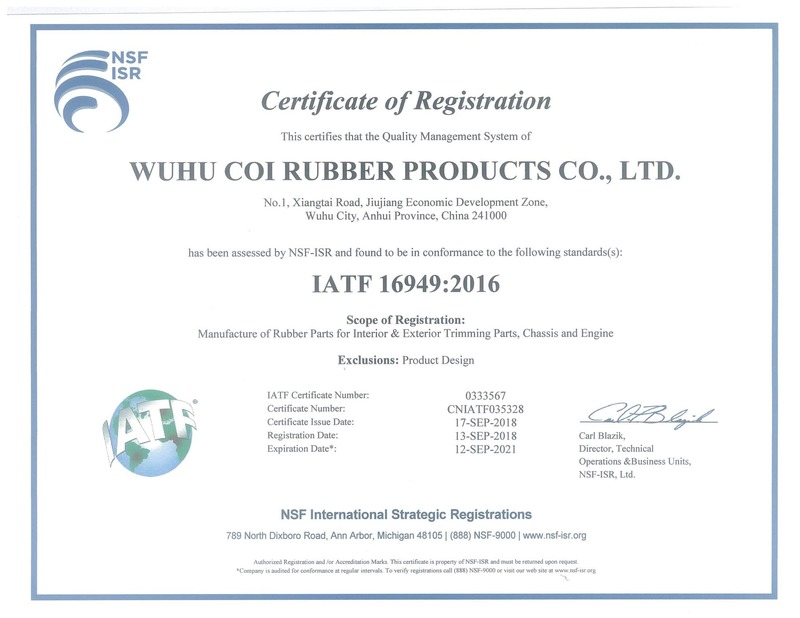 Coi Rubber is a low cost leader in providing high quality rubber and plastic products and assemblies. Throughout our global operations, our focus is on creating value for our customers by providing outstanding technical and manufacturing services. From design and materials engineering to customer support, we demonstrate our commitment to excellence in the quality and performance of the products we sell. Unique to the industry is our heavy emphasis on materials R&D. Our technical support staff provides the resources to design, formulate, develop and test both materials, components and assemblies. In addition, our engineering design systems allow us to offer design and tooling alternatives quickly and cost effectively. We provide a wide range of contract manufacturing services for a very diverse customer base. These services often include a materials and design review that leads to component and assembly consolidation along with related cost savings. For critical tool and mold services we provide single source responsibility from concept to production. Our complete project management provides cost effective results. What’s more, we take pride in our engineering support for critical timeline projects. Industry leaders around the world, including General Motors, Caterpillar, Honeywell, Siemens, DAF, Moen, Delta and Allen Bradley depend on our custom molding experience to meet their specialized needs. In addition to the medical, automotive, off-road, marine, plumbing and fluid power markets, we also serve the appliance, agricultural, computer and food/beverage industries. Our products and capabilities area also in list form. For further information, please visit our capabilities products page in list form.